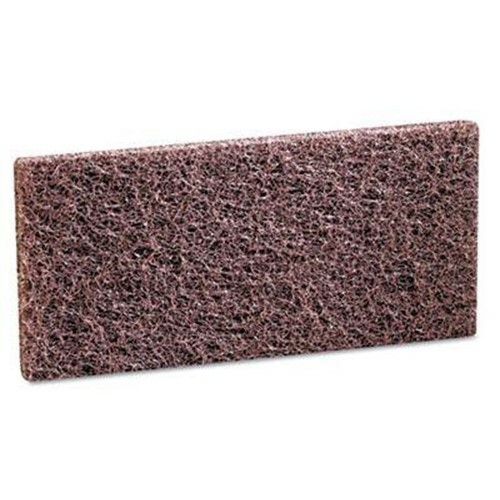 3M Doodlebug Brown Scrub n Strip Pad 8541, 4.625 in x 10 in is designed for tough jobs like removing finish and wax buildup from baseboards and floor edges. A great way to strip stairs. Use with No. 6473 Doodlebug Hand Block or No. 6472 Doodlebug Pad Holder. Brown, 5 per package, 4 packages per case, 20 per case, sold per package.